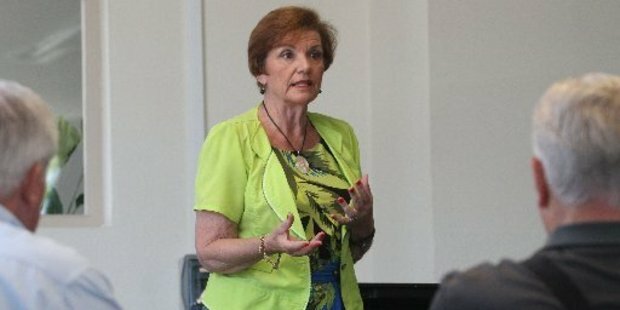 A council watch dog has approached Local Government Minister Anne Tolley to take action against the Far North District Council. The Government has been asked to urgently appoint a statutory manager or commissioner to run the Far North District Council and a petition to support the call will be launched next week. Council watchdog Des Mahoney has written to Local Government Minister Anne Tolley asking her to implement her powers under the Local Government Act (LGA) to take control of the council. Mr Mahoney, who will launch a petition next week seeking thousands of signatures to support the letter, said the council is so dysfunctional and fragmented it can't carry out its statutory functions, and that the council is endangering, or likely to endanger, the health and safety of residents. But Deputy Mayor Tania McInnes was confident about the direction council is heading in. Ms McInnes said councillors and staff are working diligently to address historic gaps in infrastructure and improve customer services. Ms Tolley said she had received the letter and a response will be prepared with input from officials. "It is important to remember that councils are independent and accountable first and foremost to their communities. It's for this reason there is a high threshold for Ministerial intervention under the Local Government Act," she said. Mr Mahoney said reasons for the petition included the council's "total inability and ongoing failure to maintain and upgrade the district's core infrastructure services, such as water supply, sewage, reticulation and road network." He said the council operated 15 sewerage schemes - and was planning another at Kerikeri - and eight are non-compliant or have abatement notices issued for non-compliance. He said ratepayers are concerned the Kerikeri scheme - which fails to add capacity to the current sewerage reticulation area - will be "another Mangawhai disaster" where costs soared from $35.6 million to an estimated $57.7m and left Kaipara District Council with a huge debt, and led to commissioners being appointed. Mr Mahoney said FNDC had failed to provide quality water to many parts of the district, and fails to maintain roading. He also pointed to the council's procurement policy after a recent court ruling found the council had wrongly excluded businessman Ken Rintoul from a tender process. Ms McInnes said no one is denying there is more work to do, but it is important to acknowledge what is being achieved. "We have eight facilities supplying drinking water. All comply with the New Zealand Drinking Water Standard. We are currently upgrading supplies to Rawene, and are looking at options to improve those in Te Kao (which is currently a private supply), Kaitaia and Opononi-Omapere," she said. "We are building a new and desperately-needed sewerage network for Kerikeri that will connect 1000 homes and businesses by 2018. This year we will also upgrade the Paihia and Russell wastewater systems, and continue improvements to the Kaitaia system." The council also planned to invest $8m this year on road works. "We are continually improving the way we interact with residents, which includes regular customer surveys." She said FNDC has received record numbers of consent applications. "I believe these achievements indicate a council that is committed to successfully serving its district, including maintaining and improving core infrastructure and carrying out its key responsibilities."